Nike Free Inneva Woven Tech "White"
An all-white colorway of the brand new Nike Free Inneva Woven Tech is now available for all you cozy boys (and coke boys). The runner features a hand-woven upper that&apos;s made up of a tight nylon webbing. 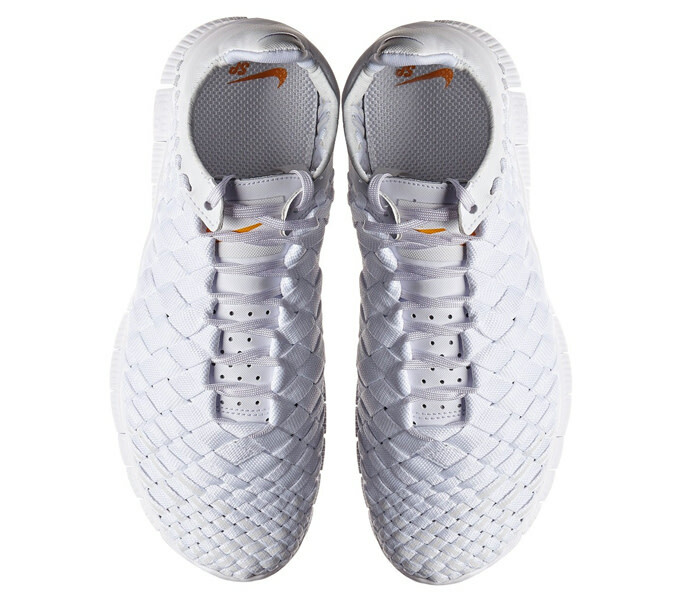 Tonal white leather covers the tongue, interior, and heel, while underneath sits a matching Free 5.0 midsole. The all-white runners join the two other monochromatic Free Inneva Wovens that NikeLab officially unveiled last week. No solid information just yet on a U.S. drop, but you can already cop the white colorway at Italian retailer Slam Jam Socialism for about $260. The two other colorways in brown and olive release today on Nike Store.